Car batteries can be dropped off at the Eastern Regional Landfill year-round without an appointment. 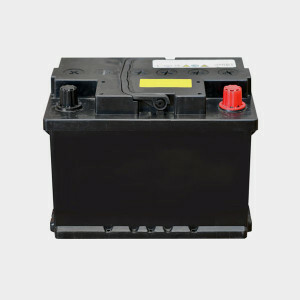 Car batteries from non-electric vehicles are lead-acid batteries that are illegal to throw in the trash. They can leach harmful chemicals into the water and soil, which would contaminate drinking water sources. Used car batteries can be recycled as scrap metal at a scrapyard that pays for them. When it’s time to buy a new car battery, bring the old one to the retailer or dealership. Certified service shops collect them and then ship out massive quantities of old batteries to be recycled. Firestone sells tires along with other auto products and services. They run a free battery recycling program that accepts drop-offs. Find a store. AutoZone is the second largest retailer of aftermarket car parts. They accept old car batteries at their store locations. Find a store. If you plan to purchase a battery from Sears Auto Center, they will accept DieHard® and Plus Start Batteries for recycling. Find a store. In the United States, the automotive recycling industry employs more than 140,000 people nationwide, bringing in about $32 billion in sales each year. About 86 percent of a whole vehicle can be recycled into new car parts or other consumer products. Find out more.